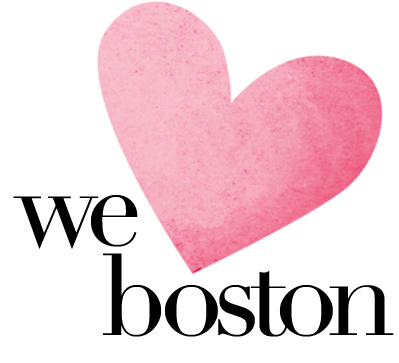 This past week has been extremely overwhelming, both personally and as a Bostonian, knocking me off balance. The events that occurred in Boston are utterly shocking, and since last Monday evening, I have felt a deep sadness, and a loss for words. I find it difficult to describe the variety of emotions I've felt with recent personal events, as I work on accepting the changes that occur due to an ailing family member, knowing that it will take time for me to fully process it all. And with the horrendous events here in the city that I've come to love, it's been quite a week, leaving me with few words. But in these sad days, I'm forcing myself to hold onto hope that there is more good than bad in our world despite what is surrounding us. The strength, support, outreach and pure love that has emerged from my community, from this city, from around the country and from around the world, is amazing and gives me that hope I need to keep going. With the tragedies and worries that the events of the past week bring about, the least we can do, is take this as a reminder to hug those near and dear, and smile at strangers that we pass. While I find it hard to put into words the thoughts and feelings I've experienced, and continue to ponder, struggling to make sense of everything, after this week, I can be sure about the immense love I have for this city that I've come to call my home, and stand proudly by it as we learn to move forward.